June « 2018 « Blog Marcos L. Mucheroni Philosophy, Noosphere and Ciberculture. 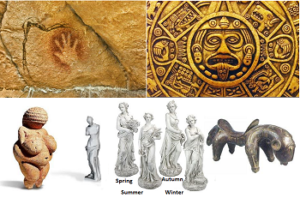 Imaginary comes from the image, the most recent discoveries of the paleolithic man, such as the Chauvet cave in December 1994, reveal a human soul from the beginning shrouded in images and in the imaginary, virtually all cultures exist the absurdity. Modernity was the first attempt to create a society totally distant from any “superstition,” the “sapere audi” daring to know, upon which Max Weber ruled the “fate of our times is characterized by rationalization and intellectualization and, above all, disenchantment of the world”. The imaginary takes us further, as Max Weber also said: “History teaches us that man would not have achieved the possible if he had not often tried the impossible” and fortunately there are “stubborn” poets, artists who are also present in the digital world, who insist on the imaginary, the virtual and even the impossible. To go further means to have hope and faith, as described by the evangelist Matthew, who answered the apostles about his difficulties: “For the faith which ye have is small, and I say that if ye have faith the size of a grain of mustard , may say to this mountain, ‘Go hence, and he will go.’ Nothing will be impossible for you. “in Mt 17:20. As popular wisdom says: faith removes mountains, but there is also a dose of extraordinary, something unexpected, which is just the enchantment of the world, the human soul wants to be surprised, look for it in shows, theaters, cinemas and other forms of manifestation . An unbelieving world of the extra-natural (not to speculate about the supernatural) is part of the contemporary world, after all the distrustful, the critics of reality and the disenchantment of the present world do nothing other than prophecy, for they are generally speaking of a future, but in a negative and apolitical way. The term absurdity used by the American philosopher Thomas Nagel, and serves as the “confusion” of Lucien Sfez, but Nagel finds this very human and went so far as to say: “Absurdity is one of the most humane things about us: a manifestation of our more advanced and interesting characteristics, “and this is very humanistic. We have already posted here the refutation of Jean-Gabriel Ganascia on Artificial Intelligence, although the name may not be its own, the debate heated up with robot Sophia who received the Iraqi citizenship, but in a marketing move, and the use of “virtual assistants voice, “such as Cortana, Siri and Google Now. Now the Amazon “toy” Alexa starts to enter the home, and it has a greater potential because the universe of Internet of Things (IoT) is growing and will speak. 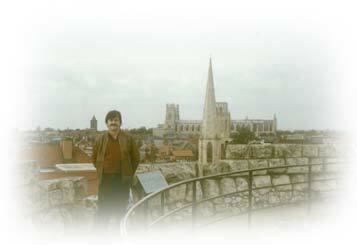 Returning to Nagel, absurdity is not a hindrance to him, but an affirmation of humanism in his book “What Is It Like to Be a Bat?” (1974), he claims that it might make sense for you to ask yourself how you should feel to be a bat, but it would not make any sense to wonder how you would feel being a toaster. This means that all this limitation they want imposed on machines is, contrary to what seems an anti-humanism, a rejection of the evolution of the means of production and of knowledge, wrapped with a sentimentality about “the human” in times of inhumanity . Speaking in evolution of Nagel’s critical view of Darwinism and also of neo-Darwinism, though he sees its usefulness in the scientific debate, to which he states: “One of the legitimate tasks of philosophy is to investigate the limits of even the best developed and most advanced forms. of contemporary scientific knowledge. In some doctors’ offices already use Google Home, Assistant and Translate, in addition to the indispensable Agend, whoever starts using it does not leave it any more, it avoids scheduling conflicts and warns forgetfulness, but the idea now is to integrate these environments into “Medical Digital Assit “, developed by the doctor Steven Lin of Stanford University made next to the CNBC. According to CNBC site, the project is in the health group of the daring Google Brain project, part of Google’s division in artificial intelligence, having as its “ambitious goal” to deploy external health care trials before the end of 2018. The main goal, however, is to assist physicians in their reports and medicals records, before beginning the studies the Stanford School of Medicine made a survey where they found that doctors lose 6 to 11 hours of their daily work to document the histories patients’ clinics, so it is often easier questions, but patient responses may be inaccurate or ignore relevant data. The problem of accuracy is key, the CNBC website explains the difference between an interpretation and “hipo” or “hyper” can be fatal, hypoglycemia is exactly the opposite of hypoglycemia if the doctor does not check this carefully. The first phase of this study is expected to conclude in August, Lin said both parties plan to renew collaboration for the second phase for at least a year. It may not seem like a new phenomenon in technology since there are wizards like Siri, Cortana or Google Now, but the fact that this wizard is really personal, that’s why I called the others for voice assistants, is the fact that it learns and stores the data in a private cloud from Amazon Web Service (AWS). These personal assistants although all grounded by the use of voice there are differences, they can learn from specific people habits and functions they desire, while the voice assistant, as I call Siri and Google Now now empordered by Dialogflow, as we explained in the post above, they can respond and learn from human interaction, but may, if it is desirable to organize their own database. 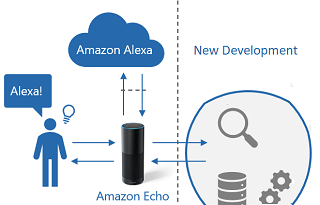 Alexa (because I’m the personal assistant I think is masculine, but it can be the same) is centralized in the Amazon cloud and has its own equipment that is Amazon Echo, a column always connected to the Internet via WiFi that is attentive to dialogues of its “owner”. Streaming music services using Spotify or Pandora, you can read the news of the main newspapers you prefer, inform the weather forecast or the traffic on the way to work, can control all equipment at home that are Smart Home, including it can identify and tell about compatibility, plus its capacity goes beyond. In addition, it promises to check basic things like solving math accounts or getting into a conversation and even telling jokes, over time this bank and this ability will evolve. Personal assistants are emerging in a variety of companies and applications: Apple’s Siri, Microsoft’s Cortana and Google now, Alexa´s Amazon and the less well-known environments that support many developments such as Speaktoit and DialogFlow stand out in popularity. The voice assistant, as I prefer to call it, the Cortana now associated with Windows 10, has this name due to the character of the Halo series, with Jen Taylor, character voice actor, who lends her voice to the personal assistant (Foley, 2014). Siri is an Apple Personal Assistant style application, ie for iOS, macOS and watchOS, so it is available for iPhone, iPad and the like. Speaktoit has something else, by a voice-activated wizard that has an avatar on the screen. The wizard is actually a cartoon character who talks with quotations on balloons and gives you some interesting human interaction appearance. 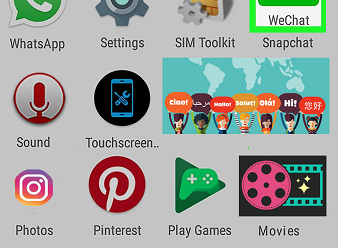 By the end of 2014 this wizard had more than 13 million users in 11 different languages in a category of 6 applications called LifeStyle was the main application among those used by Google Play in the USA. In September 2014, Speaktoit released the api.ai (voice enable engine that powers the wizard) to any developers, who allow both the use of avatars with the addition of voice interfaces to applications based on Android, iOS, HTML5 and Cordova. Although discontinued in December 2016, API.ai uses its features and is integrated with dialogFlow, which can be considered with its continuity. Brandon, John. “Speaktoit Review“, Laptop magazize, 2013. Foley, Mary Jo «Microsoft’s ‘Cortana’ alternative to Siri makes a video debut», ZDNet, 2014. Tolentino, Mellisa “New platforms, upgrades simplify life for IoT developers“, siliconANGLE, 2014. The importance of opening up new horizons and unconventional narratives, of disruptive proposals that modify not only technology, but the narratives themselves when new forms of prior knowledge are introduced (in other narratives of the hermeneutic circle are called preconceptions) means a environment of evolution and transformation of knowledge itself. Those who enjoy exegesis, it is also a narrative, two different characters and paradigms in the Bible was John the Baptist and evidently Jesus himself, however, under the same background of Judaism of the time constructed different narratives, since they had different missions, although the proposal for change was the same. The biblical reading of Luke 1: 60-62, when the father Zacharias says that his son will have a different name, says thus: “and they would beckon to their father as he would have him called. He asked for a tablet and wrote the words: ‘John is his name’, everyone was amazed ” to indicate that he broke a tradition and soon afterwards Zechariah spoke again. Orality is fundamental in this period, and speech was the basic form of transmission of knowledge, but John the Baptist came to make a new way, and this way will be an anticipation of the coming of Jesus, who will then open his own narrative in his way. 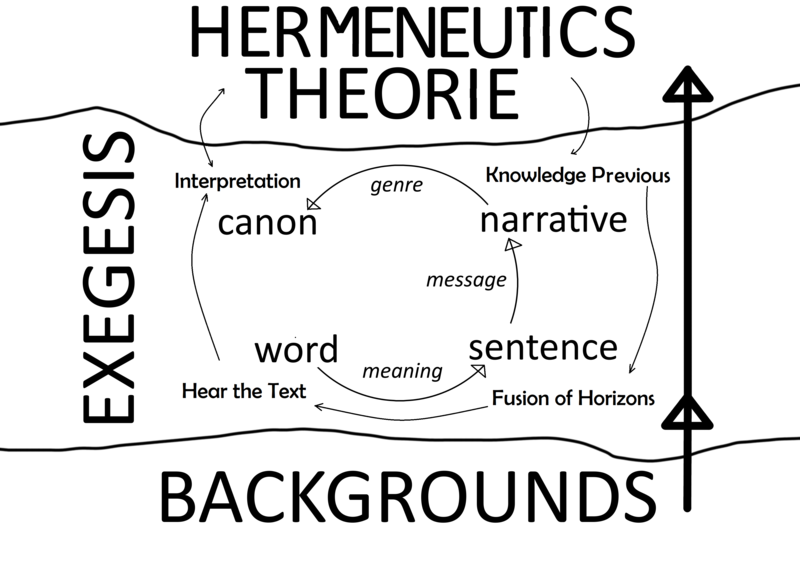 Thus, hermeneutics allows this evolution of exegesis that studies tradition also in philosophy and literature, for hermeneutics that opens the possibility of new narratives and the interaction with contemporary knowledge, what we call “background” in the previous post. Exegesis is a deep interpretation of a biblical, legal or literary text, although it may have elements of depth as all knowledge, it has implicit and intuitive practices like any other form of knowledge. 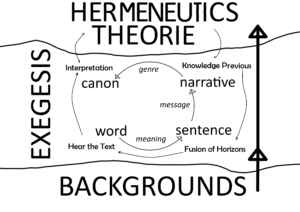 Hermeneutics, however, is a branch of philosophy that develops a theory of interpretation, but can also be seen as the “art of interpretation” and also refers to practice and intuition, in this it merges with other knowledge, with the difference it admits interpretation and is not supposed to be the last word in a dialogue, as the hermeneutic circle predicts. The idea that the senses are the foundation of truth is a very old one, but it is naive because all truth must be contextualized, then it must also be analyzed and interpreted in the light of one’s personal experience, and finally confronted with history, not romantic of the analytical or pragmatic of history, but mainly of what is advance, of what is irreversible and special of what is contextual. Contextual understanding by culture, the social and traditional structure of a people at a given moment in history, also involves political aspects, and there may be disruption factors that can either be caused by a major social change or by a technological or structural change of a particular process Social. Exegetes, too, accept the hermeneutic circle, which starts from preconceptions, can interact with hermeneutics, but they know that simple interaction can take them from absolute truth and this does not mean falling into relativism but in dialogue. 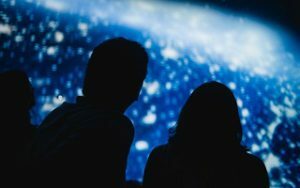 We have already mentioned the development of holograms in space without the need for devices that recreate the artifacts, now it is possible to do them in an ultra-fast and very precise way. Scientists at the Lawrence Livermore American Laboratory in California have developed a technique that can create complex objects in seconds, we can say using Shannon’s sampling theorem for imaging, now being three-dimensional. 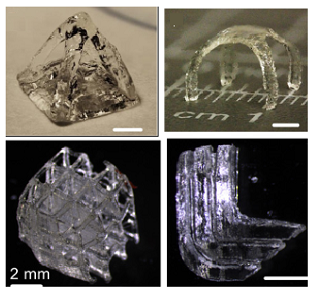 This technique creates the objects in layers simultaneously, the details were published in the journal Science Advances in December 2017, there are two really important innovations there, the possibility of creating real images in ultra-fast mode using a photosensitive resin recreating 3D printing with a powerful laser which hardens this resin making it a plastic. This can also be done with metals using electron beam and a metal powder instead of the resin, so does not need the numerous supports required for 3D printers. LLNL engineer Maxim Shusteff, who leads the study, told New Atlas: “The fact that you can make totally 3D parts, everything in one step really overcomes a problem in additive manufacturing”, now holograms can return to material parts. It was the mixed reality that clarified what real and virtual objects are, the very authors Paul Milgram and Fumio Kishino who have placed lights not only on the taxonomy of virtual and immersive environments, but mainly on the question of the real and the virtual. 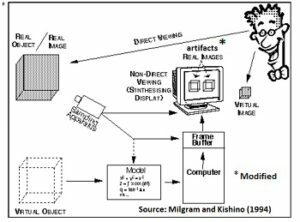 They addressed the distinction between real and virtual in three aspects, which can be seen in the figure that is a modified version of Figure 2 of Milgram and Fumio. 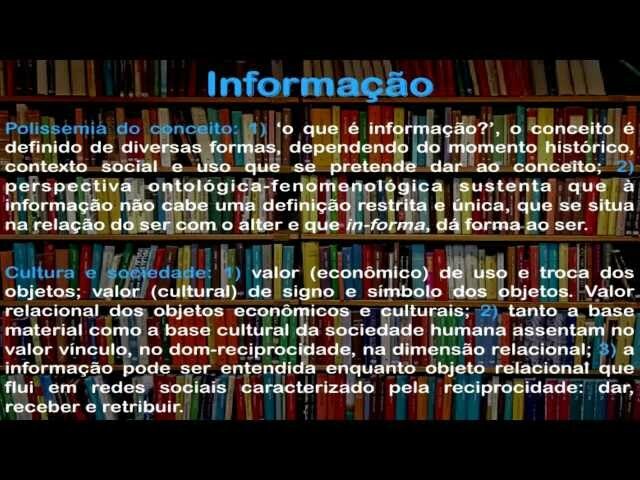 The first aspect is the difference between real and virtual objects, which are to the left of the figure, real objects have real objective existence, while virtual exist in essence or effect, but not formally, but it is from them that the in-formation , which they are in essence. For a real object to be visualized, it can be directly observed or can be sampled (before imagined Shannon) and resynthesized by some artifact. The second distinction is drawn by the authors of a Naimark paper, which is the question of the quality of the images reflected in an aspect called reflected reality, great efforts were made for this which is the direct visualization in air or glass of a real object, or the so-called “unmediated reality,” now made a reality at Brigham Young University. 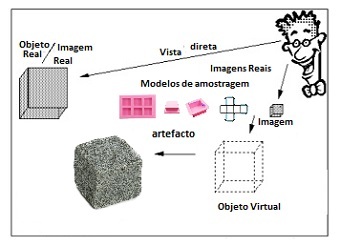 The authors’ point of view, and also ours, is that it is not only because the image “looks real” it may be representing the real and its formation, and therefore the terminology used must be careful in explaining this difference. Clarification of “representation,” the third distinction is between real and virtual images, for this we return to the field of optics and “operationally define a real image as any image that has some luminosity in the place where it appears to be located”, this includes and the image projected on the artifact (the authors say on the screen, but the concept can be extended). Thus the virtual image can be defined as the inverse mode of the image that does not have luminosity in the place where it appears, and, therefore, this can include examples of holograms and mirror images as suggested by the author, however, escapes the fact that human vision itself mirrors and inverts the images, so what is real if we need the eyes? Also the question of luminosity is interesting, the shadows and the projections that can be thought from the cave paintings to the myth of the cave of Plato, there already was the virtual one. In an article entitled “A Taxonomy of Mixed-Reality Visuals”, Paul Milgram and Fumio Kishino, published in the ACM Information System Magazine, coined the term “Mixed Reality” and applied it for the first time. The article of these researchers is fundamental because they did not dodge the question what virtual reality is, and responded simply and directly by separating the virtual concept from the real, saying that “these two terms constitute the now ubiquitous basis of the term Virtual Reality” . In this universe the intention is not so complex, but the “basic intention is that a ‘virtual’ world be synthesized by computer to give the participant the impression that this world is not really artificial, but is ‘real’, and that the participant is “really” present within this world, “say the authors in this article. The idea of ​​Mixed Reality lies between Virtual Reality (RV) and Augmented Reality (RA), but the important thing about this idea is access to everyday life, helmets and virtual reality devices provoke a feeling of evil -established in many people, and mixed reality allows the easy and simple use of these concepts. Summarizing mixed reality is a way of merging the real world with the virtual to produce new environments and forms of visualization in which physical and digital objects coexist and can interact in the real world in real time. In 2015, Microsoft had an impact on the market by launching its HoloLens product, but what looked like a great strategy quickly fell into disrepute because the cost was too high, now companies like Acer. Samsung, Asus, Lenovo, and Dell are making their headsets, and Microsoft’s “Reality Viewer” environment gives these products popularity.